Malcom – Can he replace Frank Ribéry and Arjen Robben? The future of Frank Ribéry and Arjen Robben at Bayern München remains in doubt. Both players will see their contracts expire in the summer and Bayern have now started to target other wingers actively. 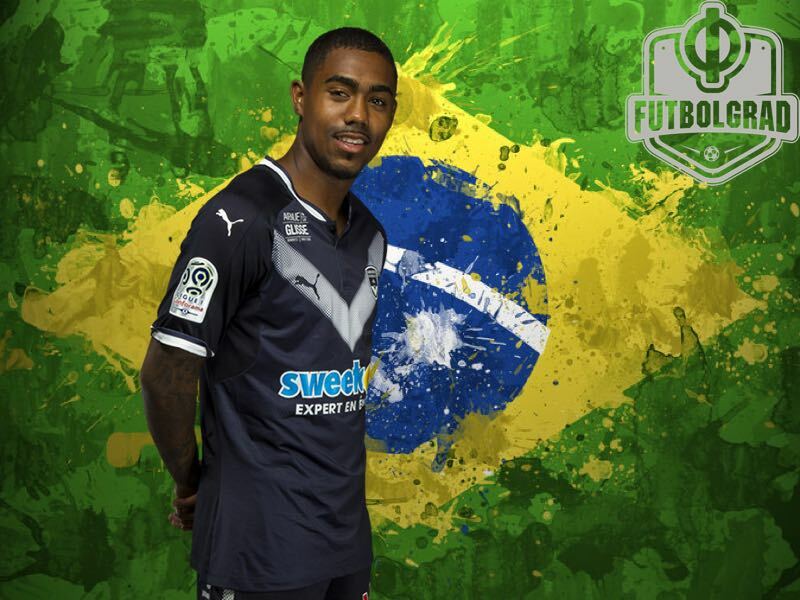 On Wednesday it emerged that the club is in advanced talks with Girondins Bordeaux attacking midfielder Malcom. As reported by ESPN and transfermarkt.de on Wednesday Bayern appear to have already come to terms with the Brazilian winger, but at the same time have not yet negotiated a deal with Bordeaux. Malcom’s representatives at Elenko Sports LTda. Reportedly met Bayern officials for preliminary transfer discussions a few weeks ago. That deal was brokered by the brother of Bayern president Uli Hoeneß, the player agent Dieter Hoeneß, who has strong links to Brazil, where the player’s affairs are said to be still handled—more on that below. Malcom is now understood to cost Bayern €60 million, which would set a new Bundesliga transfer record-shattering the €40 million Bayern paid for Javi Martínez in 2013. For Malcom, a move to Bayern would be a significant step up the career latter. The Brazilian was already close to signing a deal with VfL Wolfsburg last summer, but Bordeaux put the stops on the agreement, which in retrospect worked out well for the 21-year-old Brazilian. It would not be the first time that Malcom would benefit from a patient approach when it comes to advancing his career. Back in January 2016, it was expected that Malcom would make the jump to one of Europe’s Champions League teams, Borussia Dortmund was interested in Malcom as was Shakhtar Donetsk, who wanted to sign Malcom to replace Alex Teixeira. Another option was the ambitious RB Leipzig project. But instead of a big money move, Malcom left his hometown club Corinthians for France. It would prove to be an intelligent move. Unlike his compatriot Gabriel Barbosa, who moved straight from Santos to Inter Milan and has since struggled and returned to Brazil, Malcom has managed the step to Europe. 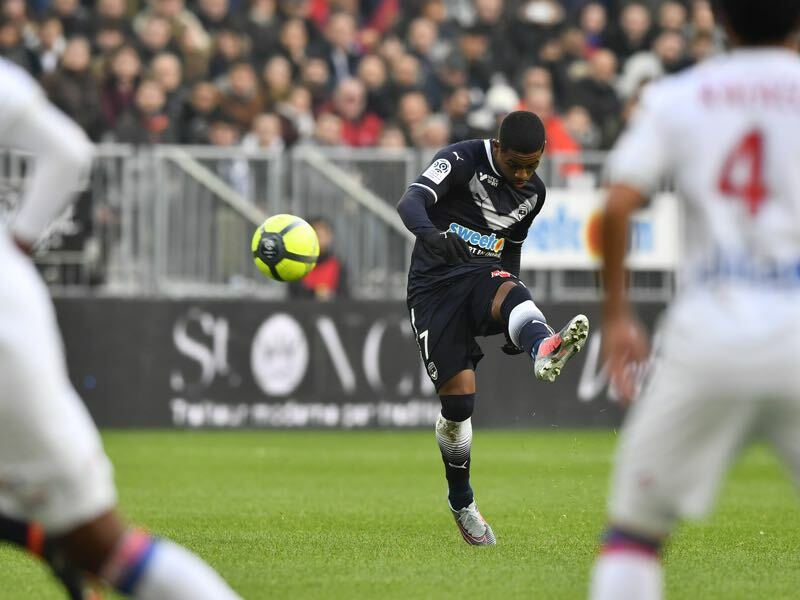 Scoring just one goal and one assist in his first six months in Ligue 1 Malcom went through the gears and was one of the most outstanding players in his first full season with Bordeaux. In 37 games during the 2016-17 season, Malcom would score seven goals and five assists. Furthermore, he was finally able to find the balance between his excellent technique, his speed and challenging players in one-on-one situations. This balance was still lacking when the Futbolgrad Network covered the 2016 Florida Cup in which Malcom took part within with his former Brazilian club Corinthians. What was already apparent at the Florida Cup was his endless talent and his ability to challenge players on the wing and to beat them. But playing against European sides like Shakhtar it was also apparent that he still lacked the physical skills to consistently challenge top defenders—his time in France has meant that he has become physically stronger and could quickly become a top player in Germany. Playing in Europe in the emerging Ligue 1 Malcom has made a significant step forward in those departments. French football in recent years has been the considerable conveyor belt when it comes to producing highly gifted and technically excellent school wingers. At the same time, the league also provides players that can play strong physical football. Malcom has undoubtedly benefitted from playing football there. Willy Sagnol, who signed the player for Bordeaux in January 2016 told Sport Bild that the left-footed Malcom “is more like Robben rather than Ribéry. He isn’t quite that fast, but he has fantastic technical skills.” The truth is he is not comparable to either winger, but rather a mix of the two of them. Not quite as fast as Robben Malcom approaches his opponents the same way as Ribéry when starting one of his forward runs—making small dribble steps in front of his opponents, Malcom seems almost to explode making an impossible move to beat defenders. Wearing Ribéry’s number 7 for Bordeaux at first glance he seems more comparable to Bayern’s French winger rather than Robben. The more Robbenesque characters become apparent when Malcom is given room. The Brazilian has a thundering shot and while he is not using Robben’s famous trademark finishing move of breaking in from the right-wing to the centre of the pitch to score with a thunderous left footer Malcom does like to score from a distance. With his ability to score from outside the box Malcom has scored eight goals and six assists in 25 Ligue 1 games this season. The difference between Robben is that Malcom, although he can often be found glued to the wing, likes to centre his runs a bit more, and is often found instigating attacking plays further down the field. But given the difference in style between Bayern and Bordeaux Malcom might have to adapt the way he plays football. As a result, he might be pushed further out and, because of Bayern’s dominant play further up the field, which would explain Sagnol’s comparison to Robben. Now the question is whether Bayern should break the bank and pay €60 million for Malcom. Seeing him play at the Florida Cup and on occasions for Bordeaux this season the Futbolgrad Network indeed believes so. But a transfer would not be secure. As it is often the case with Brazilian players, Malcom is owned by various parties—despite the fact that third-party ownership is technically illegal. Bordeaux only own 50% of Malcom’s transfer rights with Corinthians and different agents holding the remainder. Bordeaux are now insistent that they own the full economic rights of the player, but that Corinthians would receive some compensation. Negotiations could, therefore, be somewhat tricky with Bayern dealing with parties back in Brazil. This would explain why Uli Hoeneß’s brother Dieter has led the negotiations and why Bayern was going to bang out a contract with the player, and the various parties are representing him, first. Given the interests of multiple parties in the transfer it is more than likely that Bayern will be able to land the player, but only if they meet Bordeaux full demands, rumoured to be €60 million, as the Ligue 1 side will not be able to retain the total value of the transfer.